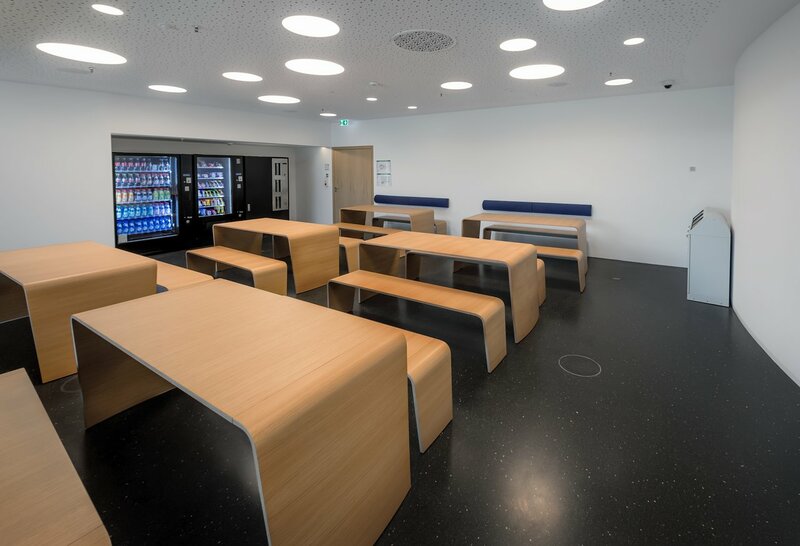 The ESO Supernova has vending machines with snacks and cold drinks in the picnic area in the basement, with an adjacent sun terrace. You are also very welcome to use the area to consume food and drink brought from home. There are vending stands offering additional food on the Forschungscampus. If you wish to end your day at the ESO Supernova with a visit to a nice restaurant, you can visit the small nearby town of Garching, which has several restaurants offering different cuisines. Garching is the next stop south on the U-Bahn, around five minutes by car, or 30 minutes on foot.